Morkies - Cute Adorable Sweet Natured Small Dogs! 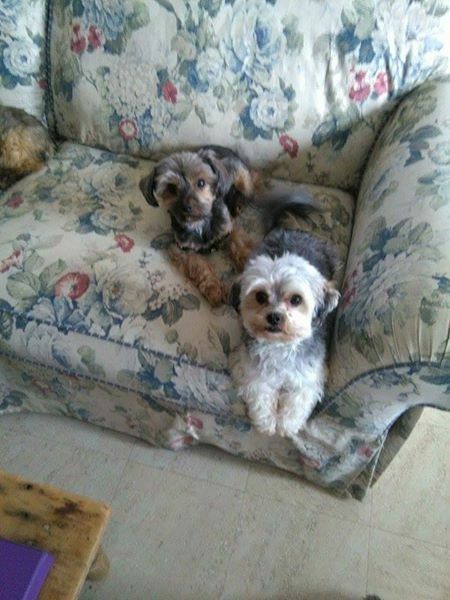 Kawartha Dog sitter fans may already know a lot about Morkies, but these puppy pics a reader sent in are soo adorable, we just had to share them! We personally know the woman who has these puppies that she helped bring into the world in her loving home. Well, meet Mum and Dad. FTC Disclosure: This post may have affiliate links that will reward us when you purchase through them. This helps us keep kibble in our bowls. Thanks! 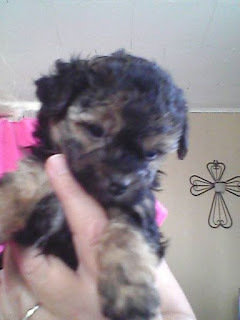 Morkies are a combination of a Maltese and Yorkshire Terrier as seen in the picture above. 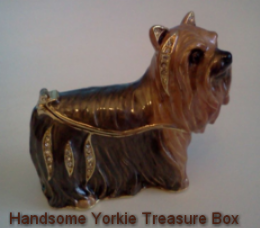 Yorkshire Terrier Dog Yorkie, Sitting Trinket, Jewelry, Pill, Pin, Treasure Box— CA$38.46 (Save 9%! 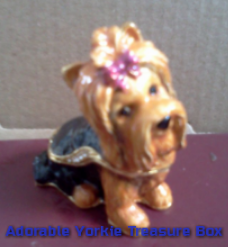 )This little Yorkshire Terrier is sitting pretty with a pink bow in her top-knot and adoration for you in her eyes. She has everything you've ever wanted in a Yorkie, a good example of her breed. She's small like her breed with Austrian Crystals inset. Click the link above for more views and details. A matching necklaces is also available. This Mum and Dad have four babies - two males and two females. These Morkie puppies are second generation.How would you caption these pictures? Which puppy would you choose to have for your own? 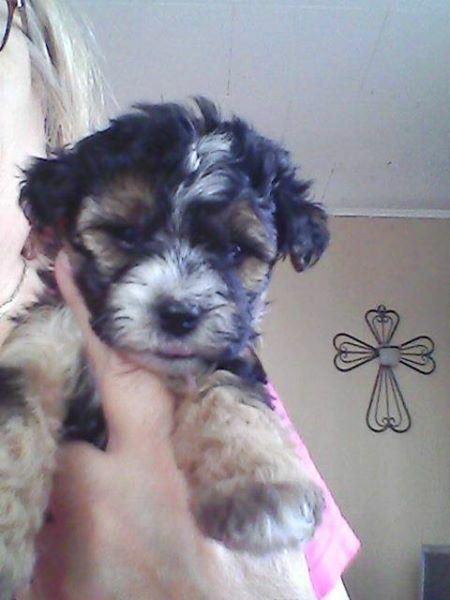 These second generation morkies come with a 1 year health guarantee, first shot and dewormed. Born October 4th these fat sassy little munchkins. will be ready for new homes December 4th. Sweet natured, raised underfoot and Pee pad trained. They are eating well. Dad is 8 pounds, Mom is 6 pounds. Puppies will be available for showing November 20th. Will hold with a deposit. So What Makes Morkies Great Pets? 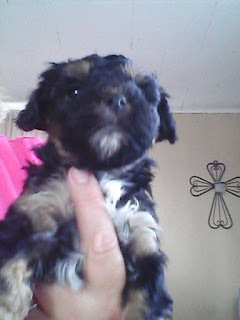 First, according to About Morkies, Morkies have a good life span owing to their parentage. Usually Maltese live 12 to 14 years and Yorkshire Terriers live 14 to 16 years. In addition to this, mix breed dogs are usually longer lived than purebreds, and small dogs tend to live longer than large dogs. 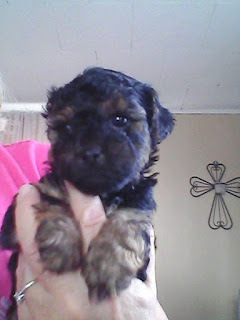 Morkies can also be a great choice for people who have allergies. 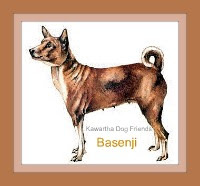 Their parents are known for both being single coated low -shedding / no shedding dog breeds, so this makes this breed VERY low shedding. It is known as the BEST low-shedding / no shedding small dog!! Do you have some dog baby announcements you would like to share with our readers? Thanks for visiting our blog and a very special thanks if you commented! Did you get your free subscription yet? Tweet us on Twitter too!